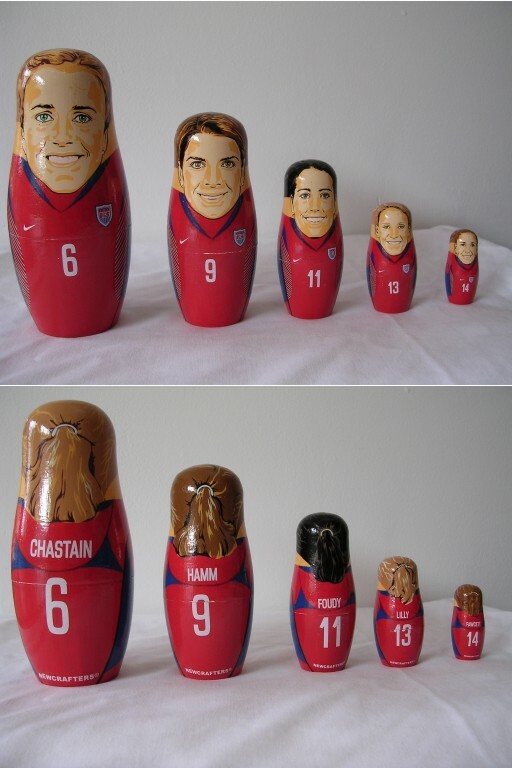 Set of five wooden nesting dolls featuring the five '91ers who pioneered American women's soccer: Mia Hamm, Brandi Chastain, Joy Fawcett, Julie Foudy and Kristine Lilly. MINT in original colorful gift box. 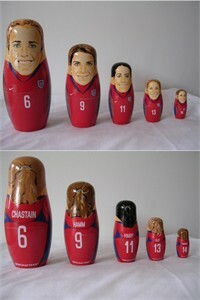 Officially licensed by US Soccer. We once had 200 sets and are down to a couple dozen.